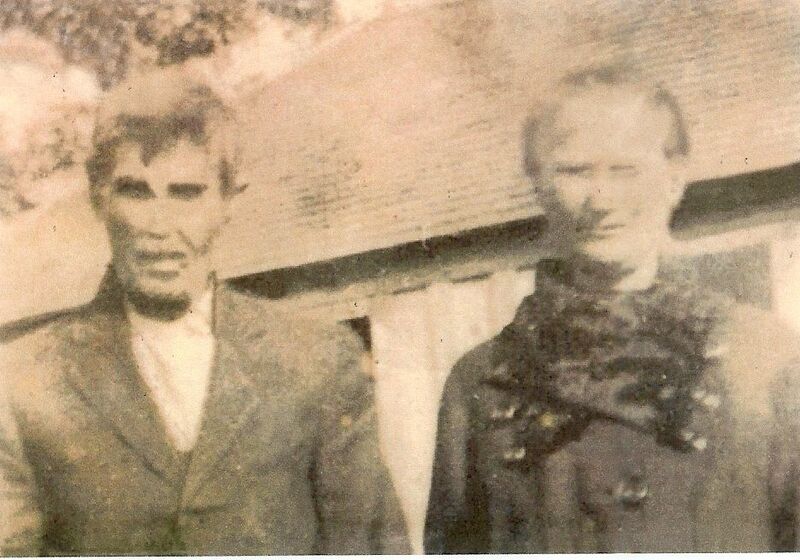 James Holly "Hawley" JONES [Parents] was born on 13 Apr 1853 in Sherman, Grayson, Texas. He died on 26 Dec 1929 in Near Spiro, Le Flore, Oklahoma. He was buried on 27 Dec 1929 in New Hope Cemetery, Spiro, Le Flore, Oklahoma. James married Mary A. MAUDE on 24 May 1871 in Sherman, Grayson, Texas. Mary A. MAUDE was born about 1855. Mary married James Holly "Hawley" JONES on 24 May 1871 in Sherman, Grayson, Texas. Joseph "Joe" JONES was born about 1871 in , , Texas. James Holly "Hawley" JONES [Parents] was born on 13 Apr 1853 in Sherman, Grayson, Texas. He died on 26 Dec 1929 in Near Spiro, Le Flore, Oklahoma. He was buried on 27 Dec 1929 in New Hope Cemetery, Spiro, Le Flore, Oklahoma. James married Kittie C. LEVERETT on 28 Apr 1872. Kittie C. LEVERETT. Kittie married James Holly "Hawley" JONES on 28 Apr 1872. Annie W. JONES was born about 1876 in , , Texas. James Holly "Hawley" JONES [Parents] was born on 13 Apr 1853 in Sherman, Grayson, Texas. He died on 26 Dec 1929 in Near Spiro, Le Flore, Oklahoma. He was buried on 27 Dec 1929 in New Hope Cemetery, Spiro, Le Flore, Oklahoma. James married Mary S. THOMAS on 6 Feb 1876. Mary S. THOMAS. Mary married James Holly "Hawley" JONES on 6 Feb 1876. Walter Floyd MORGAN [Parents] was born on 2 Jul 1912 in Richmond, Henrico, Virginia. He died on 19 Oct 1979 in Sulphur, Murray, Oklahoma. He was buried on 21 Oct 1979 in Leonard, Fannin, Texas. Walter married Ruby Ellen BROYLES on 30 Sep 1933 in Trenton, Fannin, Texas. Ruby Ellen BROYLES [Parents] was born on 23 Jun 1915. She died on 6 Sep 2003 in Ada, Pontotoc, Oklahoma. Ruby married Walter Floyd MORGAN on 30 Sep 1933 in Trenton, Fannin, Texas. M i Floyd Ray MORGAN was born on 23 Aug 1936. He died on 2 Sep 2015. M ii Loyd Wayne MORGAN was born on 19 Jun 1943. WEBBER. WEBBER married Phyliss Jean COOPER. Phyliss Jean COOPER was born on 26 Jun 1944 in Tulsa, Tulsa, Oklahoma. Phyliss married WEBBER. Wanda Jean WEBBER was born on 27 Sep 1960. Andrew Washington O'HAIR [Parents] was born on 14 Nov 1814 in Lacy Creek, Floyd, Kentucky. He was christened in , Rusk, Texas. He died on 15 Dec 1894 in , Johnson, Texas. He was buried in Faulkenbury Cemetery, , Johnson, Texas. Andrew married Martha Jane "Patsy" THOMPSON on 15 Mar 1835 in Edgar, Edgar, Illinois. Martha Jane "Patsy" THOMPSON [Parents] was born on 2 Feb 1815 in , Knox, Tennessee. She died on 10 Jun 1881 in Cleburne, Johnson, Texas. She was buried in Faulkenbury Cemetery, , Johnson, Texas. Martha married Andrew Washington O'HAIR on 15 Mar 1835 in Edgar, Edgar, Illinois. F i Sarah E. O'HAIR was born in 1836. M ii John T. O'HAIR was born in 1839. He died before 1940. M iii Robert Thomas O'HAIR was born on 19 Sep 1840. He died on 15 May 1924. Amanda J. O'HAIR was born about 1842 in , , Texas. M v William Washington O'HAIR was born on 15 Oct 1845. He died on 28 Apr 1920. F vi Silvey Ellen O'HAIR was born on 14 Feb 1848. She died on 9 Apr 1899. F vii Nancy C. "Nannie" O'HAIR" was born in Apr 1849. Polly Ann O'HAIR was born about 1853 in , , Texas. F ix Margaret Tennessee O'HAIR was born on 18 Oct 1857. She died on 29 Nov 1940. Edward M. O'HAIR was born in 1858 in , , Texas. Joseph HYLAND was born on 2 Feb 1814 in , , New York. He died on 14 Jan 1898 in Leander, Williamson, Texas. Joseph married Sarah Elizabeth THOMPSON. Sarah Elizabeth THOMPSON [Parents] was born on 4 Nov 1817 in , , Tennessee. She died on 1 Dec 1872 in Leander, Williamson, Texas. Sarah married Joseph HYLAND. 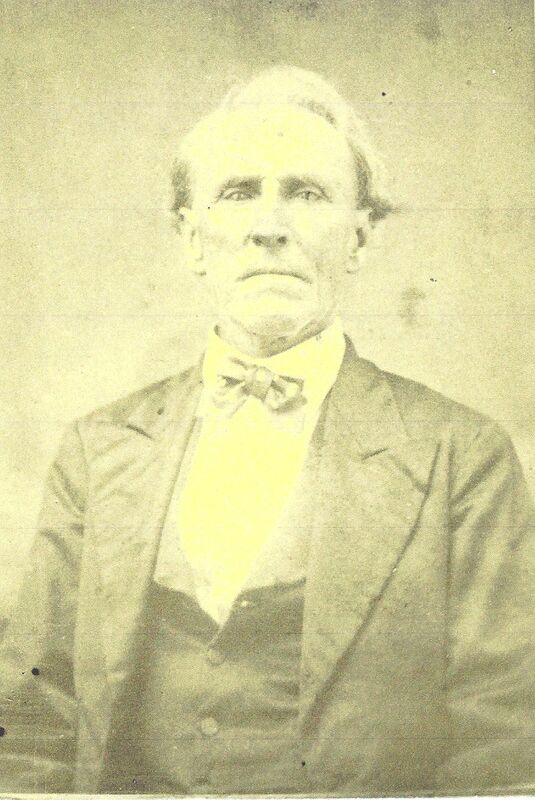 James K. Polk ROBERTS [Parents] was born in 1845 in , Jackson, Tennessee. He died in 1920 in Ardmore, Carter, Oklahoma. He was buried in Holdenville Cemetery, Holdenville, Hughes, Oklahoma. James married Mary Ann HALEY in 1870 in , Jackson, Tennessee. Mary Ann HALEY was born about 1852 in , , Ohio. She died on 16 Dec 1924 in Holdenville, Hughes, Oklahoma. Mary married James K. Polk ROBERTS in 1870 in , Jackson, Tennessee. Sarah Elizabeth ROBERTS was born in 1871 in , Jackson, Tennessee. Jesse J. ROBERTS was born in 1872 in , Jackson, Tennessee. M iii Robert E. ROBERTS was born on 25 Oct 1874. He died in 1956. F iv Amanda Tennessee ROBERTS was born on 17 Mar 1876. She died on 5 Jun 1944. F v Daisy May ROBERTS was born on 3 Apr 1878. She died on 22 Jan 1962. Leonidas ROBERTS was born about 1880 in , , Tennessee. M vii Lindsay Ezell ROBERTS was born on 30 Jan 1886. He died on 14 Jun 1951. Clifton Stephen CHARTON [Parents] was born on 16 Sep 1981 in Baptist Hospital, Little Rock, Pulaski, Arkansas. Clifton married Kristy WOOTEN on 24 Mar 2001 in Jerusalem Church of Christ Jerusalem, Conway, Arkansas. The marriage ended in divorce. Kristy WOOTEN [Parents] was born on 23 Feb 1979 in Morrilton, Conway, Arkansas. Kristy married Clifton Stephen CHARTON on 24 Mar 2001 in Jerusalem Church of Christ Jerusalem, Conway, Arkansas. The marriage ended in divorce. Peter W. "Rocky" WEAVER "I" [Parents] was born on 22 Sep 1772 in Crown Colony of Virginia. He died on 12 Jun 1850 in Murrayville, Hall, Georgia. He was buried on 12 Jun 1850 in Yellow Creek Baptist Cemetery, Murrayville, Hall, Georgia. Peter married Rachel GLAZENER in 1808. Rachel GLAZENER [Parents] was born in 1782 in , Transylvania, North Carolina. She died in 1827 in , Lumpkin, Georgia. Rachel married Peter W. "Rocky" WEAVER "I" in 1808. F i Levinia WEAVER was born in 1808. She died in 1872/1880. F ii Nancy WEAVER was born in 1811. She died in 1883. M iii Peter W. WEAVER "II" was born on 6 Apr 1812. He died on 25 Dec 1877. M iv Floyd Daniel WEAVER was born on 8 Dec 1813. He died on 23 May 1894. M v Samuel WEAVER "I" was born on 5 Dec 1815. He died on 8 Feb 1865.